Mark Cavendish sprinted to a hard-fought victory in the opening stage of the Dubai Tour. 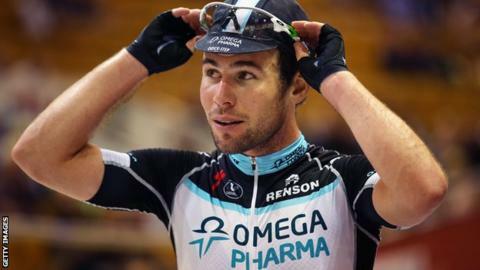 Cavendish, 29, from the Isle of Man, beat Astana's Andrea Guardini in a photo finish despite his lead-out train breaking down in the final kilometre. The victory is the Etixx-QuickStep rider's second of the season, having also won the final stage of the Tour de San Luis in Argentina last month. The four-day stage race concludes on Sunday.